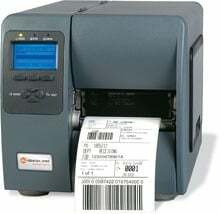 Datamax-O'Neil I-4212E - Direct thermal printing, 203 dpi, Ethernet, Wi-Fi (802.11a/b/g), Serial, Parallel, and USB interfaces, Peeler, Real-time clock. Cables sold separately. See accessories. The Datamax-O'Neil I12-00-08900C07 is also known as DMX-I120008900C07	or I120008900C07	.